RIVERSIDE POINT is located at 30 MERCHANT ROAD in district 01 (CBD, Chinatown, Marina Bay) of Singapore. RIVERSIDE POINT is a Freehold Condo development consisting of 33 units. RIVERSIDE POINT is completed / TOP in 1993 (estimated), developed by REGION DEVELOPMENT PTE LTD.
Educational institutions like JEWELLERY DESIGN & MANAGEMENT INTERNATIONAL SCHOOL, CHATSWORTH INTERNATIONAL SCHOOL (ORCHARD), INSWORLD INSTITUTE, RIVER VALLEY PRIMARY SCHOOL, CANTONMENT PRIMARY SCHOOL and ST. MARGARET'S PRIMARY SCHOOL are near to RIVERSIDE POINT. 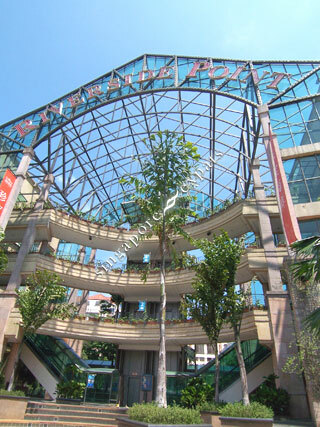 RIVERSIDE POINT is accessible via nearby CLARKE QUAY, FORT CANNING and CHINATOWN MRT Stations.